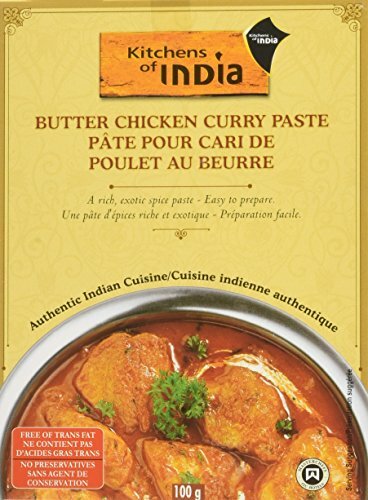 Kitchens of India Butter Chicken Curry Paste, 3.5 Ounce - 6 per case. Kitchens of India Butter Chicken Curry Paste, 3.5 Ounce -- 6 per case. Rich, mildly spiced gravy that recreates the taste of truly mouth-watering Butter Chicken. Just add tender nuggets of chicken. Cook and serve. If you have any questions about this product by Kitchens Of India, contact us by completing and submitting the form below. If you are looking for a specif part number, please include it with your message.